Add composite video and mono/stereo audio outputs to your NES Toploader or Famicom game console with our variety of kits and options! 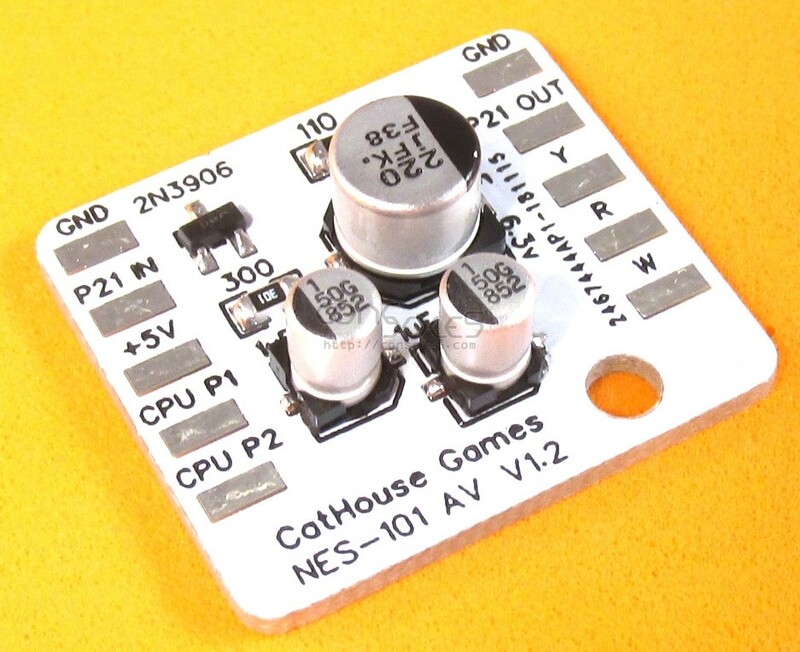 We offer pre-assembled PCBs and PCB kits from Cathouse Games, as well as a parts-only kit. 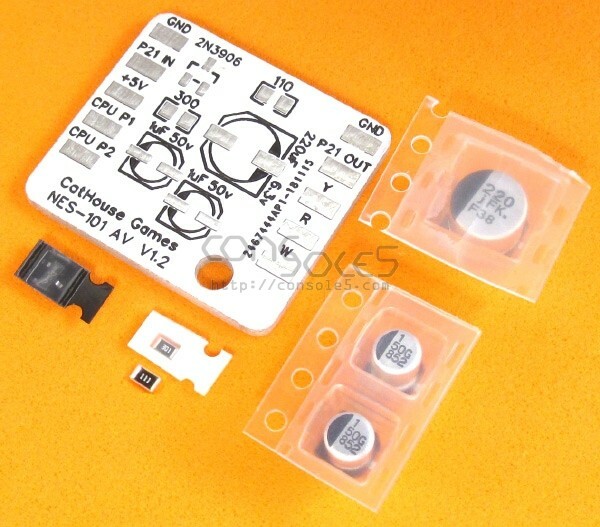 Schematic and circuit details are available on our NES-101 wiki page.